Famous Clowns who make us laugh!!! Watch out! 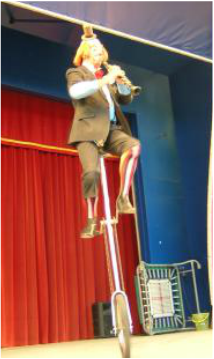 Way up above the audience on a 8 foot unicycle is that fantastic and funny Vercoe. His wild antics have the kids gasping in fear as he seems about to fall, then they burst into giggles and applause when Vercoe suddenly astounds them with a high in the sky silly stunt. Kids of all ages love Vercoe. The comic genius behind Vercoe is Arthur Pedlar, the hilarious comedy entertainer from England. For over 60 years Arthur performed as Vercoe around the world, including performances in Australia, the United States, Israel, Singapore, Japan, Russia, and throughout Europe and Scandinavia. The life of this comical guy began way back in 1938 when a 6 year old Arthur was taken to see the Bertram Mills Circus. He saw the silent American hobo clown Emmett Kelly perform that day. He also enjoyed the antics of Coco and his team. This captured Arthur’s imagination and started his fascination with clowns. The audience is totally focused on Vercoe. This funny guy has stumbled through attempts at doing many unusual stunts and yet somehow succeeds to the audience’s delight. A highlight comes when he discovers parts of a bike in a trash dump and then tries to ride the two separated sections of the bicycle. It is a laugh riot as he attempts, fails, then finally succeeds in turning these broken pieces into a working, yet comic, vehicle. The audience also enjoys the unique music Vercoe plays on a tiny and rare soprano (Eb) saxophone. He also can perform with clarinet and violin. He is accompanied on piano in the act by the up-tight Professor Forte a classic strait man and clown. Forte plays the piano with grace and style as Vercoe does amazing stunts and acrobatic feats. One feature that has the audience on the edge of its seat is balancing a bottle on top of another bottle stunt. The upper bottle slowly begins to spin and turn to the audience’s amazement. More than half the fun is getting there. Vercoe does amazing stunts on the tall unicycle as well as unique acrobatic tricks, but along the way to the ta-dah moment there is much comedy byplay that keeps the audience laughing throughout. He fails and flounders as he attempts his next stunt. Just when the audience thinks that there is no way Vercoe can accomplish the stunt, he does. This brings thunderous applause. But the audience laughs as Vercoe’s funny comedy antics and failures build to his final moment of triumph. The audience loves him. They love the underdog who will not quit and who somehow finally succeeds. The Man behind the Music - Professor Forte, also known as Alan Whiteley, a high church organist in real life. Doing what he does best... Make them laugh! Arthur discovered that he could be a clown when, as a tongue-tied lad of 15, he made his debut. He and his brother attended a Quaker school and he was not good at sports, and he did not seem to fit in. His brother persuaded him to participate in the end of term party. 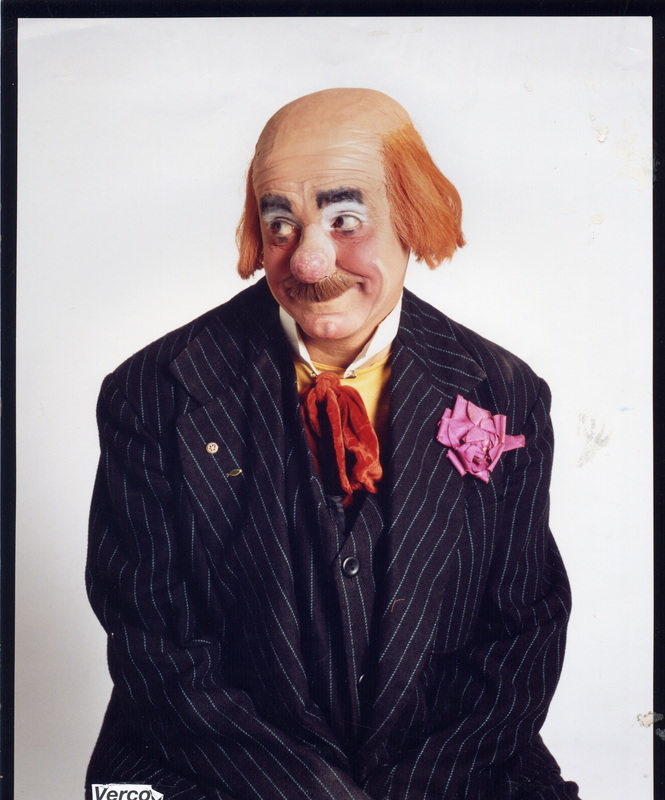 Arthur donned clown make-up and a putty nose in such a way that he was unrecognizable. He managed to do a mime performance with tin pans and rulers balanced on an open case. He discovered how silent communication could work for him to bring laughs. This shy young man discovered that his antics brought a hilarious response. He now could make people laugh from behind the mask of a clown. This was as major turning point in his life. A few years later, during his National Service, he made the soldiers laugh with his comedy mime skits. His comic skills were developing. After the service, he stumbled into the world of circus clowning when his father bought a copy of The World’s Fair, a show-business weekly, to find the address of the firm which supplied ordinary gold fish to fairs and municipal ponds. This was to replace the one a heron ate from their backyard pond. His dad then read out loud, the advertisement from Spider Austin looking for clowns to go to Paris to apprentice for the Cirque Madrano. So, in 1953, Mr. Pedlar moved to Montmartre to learn his art. Every three weeks Arthur and this clown team would create and perform a new routine. These were very physical routines and the management, and audiences, expected polished artistry. He was offered a position to continue touring with the tent show, but felt he was needed back home to run his father’s shop. By this time he had an act that appealed to adults as well as families. During the 1953–54 season in Paris, Arthur had the opportunity to work for three weeks with film star and comedian, Buster Keaton. Arthur has since performed with many circuses and was an active member of the British Clown Association. One day a chance meeting with a clown, further changed his life. It was Richard Snowberg, who at the time was the president of the World Clown Association. 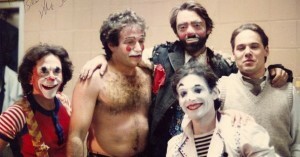 This connection later led to performances at Clown Camp in La Crosse. Mr. Pedlar was honored in the Clown Hall of Fame, as the first living non-American inductee. Mr. Pedlar was also elected as president of our World Clown Association in 2003-2004. He served with distinction and dedication. For years he has written educational articles for this publication. Mr. Pedlar was also a long-standing member of Holy Fools, has been attending the clown services since 1986, and nowadays presents one of the readings. With church clowning Arthur states, “We mustn’t forget to include the adults and give them something to ponder, after all it’s likely they will be the majority of the congregation.” All ages enjoy a laugh and a bit to think about when shared by Arthur. 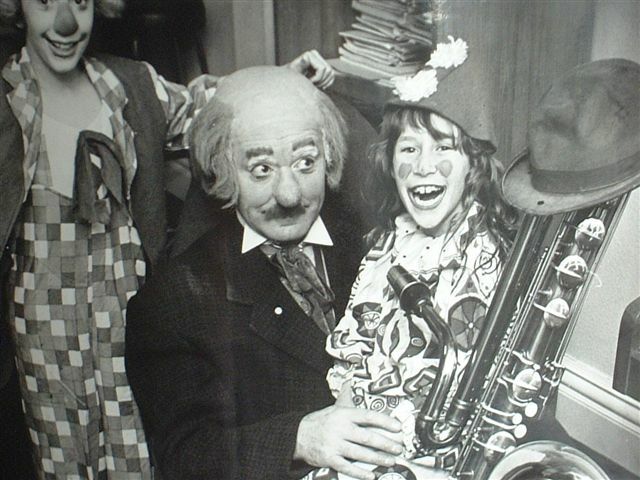 For many years, Mr. Pedlar was a dedicated producer of the clowns for the Israeli Circus School. This is a wonderful performance group that brings middle easterners together with circus arts and a desire to share cooperation and peace. The Israel Circus School holds a special place in Arthur’s heart. He was made honorary president of the organization as a tribute to his dedication over the years. The school teaches circus skills to Jewish and Palestinian youngsters together. The Circus began in 1999, bringing to children and older youths some of the skills and creativity associated with the art. It seeks to bridge relationships between the different cultural communities using circus and humor as a common language. The project, has opened new vistas of opportunity for Jewish and Arab co-operation. The group of clowns went on to became a Clown Alley that was recognized by the World Clown Association on the 1st of May in 2005. An generous donation from Mr. Pedlar and the W.C.A in the US, meant that I.C.S could build a new stage in the Center, buy very expensive training equipment and get a computer for their office. A big part of the dream for the Circus School came about with the delivery of circus equipment sent from England by Mr. Pedlar. Arthur sent unicycles, walking globes and a large collection of juggling equipment. Arthur’s generosity of teaching, equipment and cash helped immensely to see that the school to survived its first year. Arthur was also very honored to have presented the Russian clown, Oleg Popov with the ‘Legacy of Laughter’ award for his services to the world of clowning. He said: “For me it was a great pleasure to meet one of my all-time heroes and give him an award at the same time.” Mr. Pedlar travelled to Aachen, Germany, where Oleg was performing, to bestow the award. This trip rekindled memories of the first time he ever encountered Popov in 1956. Recently Arthur booked the Southport Theatre to celebrate his 80th birthday. 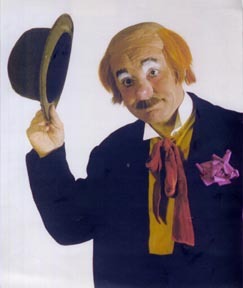 He invited the general public to attend a performance that included a hilarious appearance of Vercoe doing his full act. This was a spectacular birthday party with performance by Roni and Gigi from Japan, Rubin Madsen from Sweden, Nola Rae who was trained by Marcel Marceau, the clown/priest Roly Bain, and the Scottish clown Tweedy. Arthur has given wonderful talks on the history of clowning for our W.C.A. conventions and other groups such as theatrical clubs in England. He even dons a comic wig and nose and goes into some hilarious bits to keep the group laughing. He shows slides and movie clips of famous clowns and explains what it was that made them funny. Arthur’s lecture shares how the greats used many props such as tiny or high unicycles, cars, umbrellas, and even wigs coupled with eyebrows that move. He also discusses the acrobatic or musical talent that became identifiable to these wonderful clowns of yesteryear. 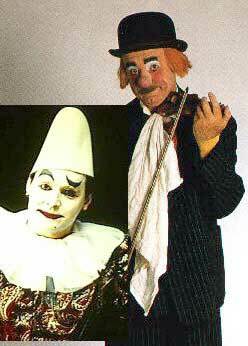 He touches on many famous clowns including; Charlie Cairoli, Kooky, Lou Jacobs, Professor Mumi, Grock, Ollie Popoff and Bertram Mills’s Coco. This lecture is fascinating as Arthur shares from his personal recollections and meetings with these great clowns. 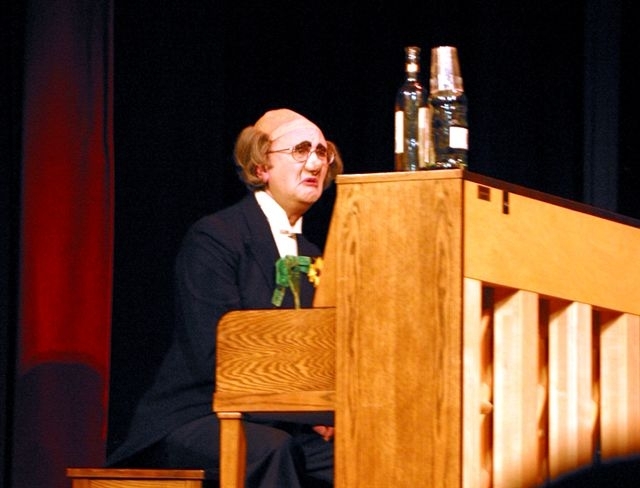 Arthur’s nemesis on stage is the daft Professor Forte, played by Alan Whiteley. Alan is a wonderful, classically trained music graduate who is also a church organist and leader of two choirs in Southport England. For over 20 years Alan was Head of the Music Department of New Heys Comprehensive School in Liverpool. He is official Musical Director of Clowns International. Arthur values the accompaniment that Alan provides on the piano. Music adds so much to an act and live music allows for crescendos and rim shots to accentuate the comic moments. Vercoe’s act is also enhanced by Alan’s strait man attitude. Professor Forte looks on in disgust as Vercoe tries to entertain with his juggling items, pratfalls and fall-apart chair. Alan acts as a foil to the humble clowning and antics of Vercoe. My memories of Arthur Pedlar come from his many years of entertaining at Clown Camp in LaCrosse. His hilarious, dynamic and physical performance brought howls of laughter and was a hit with the clowns in attendance. He also performed and lectured at many W.C.A. conventions. He worked tirelessly to bring an international show to the New Mexico Convention. This was a fabulous program and the audience laughed with joy at the comedy antics of clowns from Japan, Sweden, England and U.S. The World Clown Association Convention enjoyed a performance by Mr. Lubin at the 2014 Convention in Chicago. For a quarter of a century Barry Lubin has generated roars of laughter from the crowds at the Big Apple Circus in N.Y.C. 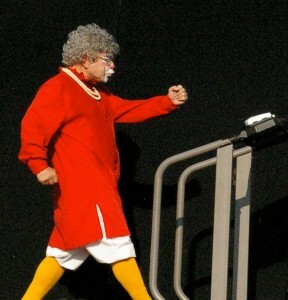 His iconic character “Grandma” gently strolls out into the circus ring wearing red robe, black sneakers and a floppy pearl necklace. You never know when Grandma will show up next. At one moment Grandma’s grey curls bounce as she is repairing a machine with a giant wrench, the next moment she is battling with the violin player using a tuba, later she is wrestling with two magicians who are attempting to saw her in half. She is feisty, then mousey as she pulls pranks on the other circus performers. Yet, it is Grandma’s warm eyes and smile, as she makes mischief, that grab the audience’s heart. Grandma is quite famous in N.Y.C. Her picture has been on every subway stop and side of a bus at one point or another to promote the legendary, Big Apple Circus. Her face is built on the classic American Auguste clown. Mr. Lubin has performed before nine million people at Big Apple during 25 seasons since 1982. In 1975 Barry was considering a career as a TV director, but was unsure about where his life would go. He had a friend who was going to try out for the Ringling Clown College, so Barry went along and auditioned too. He was accepted, trained to work in the big tent, and soon found himself on tour with the Greatest Show on Earth. It was then that he created the character of Grandma. He went on to tour with Ringling Shows for five years and was on both Red and Blue units. 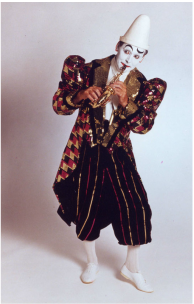 Barry Lubin was inducted into the International Clown Hall of Fame in 2002, and was presented the first Lou Jacobs Lifetime Achievement Award by ClownAlley.net in 2007. In January 2012, his name was enshrined into the St. Armands Circle Ring of Fame in Sarasota, Florida, which honors American circus greats. He has now moved to Sweden to perform throughout Europe with a variety of Circus troupes. Most notably he has been featured at Circus Krone in Munich, Germany, and at the 2006 International Circus Festival of Budapest in Hungary (Moscow’s Bolshoi Circus Award). He also returned to the International Circus Festival of Monte-Carlo in 2008, where he received the Bellini Award. One of Mr. Lubin’s goals now is to teach more. The W.C.A. is very fortunate to have this expert clown share with us at the 2014 Chicago Convention as our featured performer. He will also present several workshops that will be very fun and just possibly be what will take your clowning to a new level. Now is the time for you to sign up and be a part of this wonderful and unique educational opportunity. Check out the World Clown Website for more information about the convention and the wonderful benefits of the World Clown Association. The World Clown Association has a great Magazine – Clowning Around – it is filled with great articles, educational information and helpful vendors of clown supplies. Many people came to Chicago and enjoyed the workshops and show by Barry Lubin.